While known for his progressive leadership, Gov. Brown has historically shown skepticism for marijuana legalization and reforms. 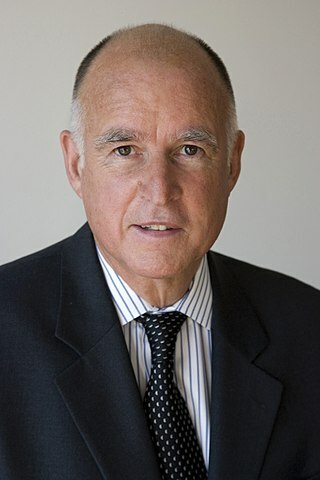 California Gov. Jerry Brown took action on several cannabis-related bills in recent days, approving five and rejecting five others. Since California voters approved Proposition 64 to legalize recreational marijuana in 2016, lawmakers have continued to pass measures aimed at further reforming cannabis law and improving the state’s legal market. For marijuana industry insiders and advocates, how Brown would act on the slew of cannabis bills sent to his desk over recent months was a toss-up. While the relatively forward-looking politician that has led the way on issues like climate change, he has refused to fully embrace legalization and reform efforts. Only months away from coming to the end of his 50-year career in public service, Brown vetoed five marijuana proposals, including a measure that would have lifted barriers for students who need medical cannabis at school. He approved five others, including one that facilitates the review and expungement of hundreds of thousands of past marijuana convictions. Here’s a look at the cannabis-related bills Brown recently approved and rejected. AB 1793 requires that California prosecutors automatically erase or reduce thousands of past marijuana criminal convictions. “AB 1793 will bring people closer to realizing their existing rights by creating a simpler pathway for Californians to turn the page and have certain criminal convictions for cannabis-related offenses removed from or reduced on their records,” said Rob Bonta (D-Oakland), who introduced the bill. SB 1294 creates equity provisions that allow licensed cannabis businesses to qualify for low- or no-interest loans and grants. The legislation was designed to assist minority-owned businesses in the cannabis industry. AB 2215 requires that the California Veterinary Medical Board establish guidelines for licensed veterinarians to discuss with clients the use of cannabis on animals. “Right now, there is no guidance for veterinarians as for what they are able to do, so basically they are at risk of losing their license if they discuss cannabis with their patient owners,” said Assemblyman Ash Kalra (D-San Jose), author of the bill. AB 2020 allows cannabis to be sold and consumed at special events on public and privately owned property. It does not supersede any local ordinance that bans marijuana consumption in some public places. SB 1409 updates the definition of “industrial hemp” in California to differentiate it from cannabis, allowing farmers in the state to produce seed, oil, fiber, and extract. The expanded hemp laws go into effect January 1, 2019. “This is a big win for our local farmers, and it’s going to revolutionize agriculture. Just last night, I got a text from a local farmer who is converting his fields to local hemp. I heard from a battery manufacturer (who uses hemp fiber in battery production) who secured a 15,000-square-foot building, thanks to the bill,” said the bill’s author, State. Sen. Scott Wilk (R-Santa Clarita). SB 1127, also known as JoJo’s Act, would allow some parents to administer medical cannabis to their children while at school, rather than having to remove their child from school grounds. “This bill goes too far – further than some research has – to allow use of medical marijuana for youth. I think we should pause before going much further down this path,” Brown wrote in his veto note. SB 829 would allow licensed marijuana retailers to “offer free cannabis or cannabis goods” to low-income medical marijuana patients. It would exempt the donated cannabis from taxes. The bill seeks to apply equal state tax treatment to licensed cannabis businesses in this state, regardless of whether they organize under the personal income tax or corporate income tax law. Give the cost to the General Fund, this proposal is best evaluated as part of the budget process,” Brown wrote in his rejection note. AB 1996 would authorize the University of California’s Center for Medicinal Cannabis Research to cultivate marijuana for clinical trial research. “This bill contains provisions that directly conflict with the Control, Regulate, and Tax Adult Use of Marijuana Act, which the voters approved in November 2016. For this reason, I cannot support this measure,” Brown wrote in his veto message. State lawmakers are now considering whether they have the two-thirds votes to override Brown’s vetoes. Stay up on marijuana industry developments through our news page, or gain a better understanding of current cannabis laws throughout California and the U.S. by visiting our education page.